Applications for entering the Schengen area are under the presumption that both applications for A and C Schengen visas which are up to 90 days may be lodged. General Schengen regulations state that you may apply for both A and C type visa or short-term if you intend to travel to Switzerland, Sweden, Latvia, Slovenia, Estonia, Finland, Belgium, Hungary, Luxemburg, the Netherlands, Finland, and Denmark. Applications for a visa when traveling to these countries take place are issued at your country representation according to general Schengen practices. If you intend to visit a country which is not listed you have to address to the Embassy of that country you intend to visit. One of the fundamental rights which are guaranteed by the EU is the free movement of people to European residents. This right entitles that every EU citizen has right to live, work and travel in any European Union country without any specific formalities. Schengen cooperation also enhances this freedom by enabling residents to cross-border withing the Schengen area without being subjected to general border checks. Therefore, more than 400 million European Union residents have guaranteed right to move freely across the internal borders. 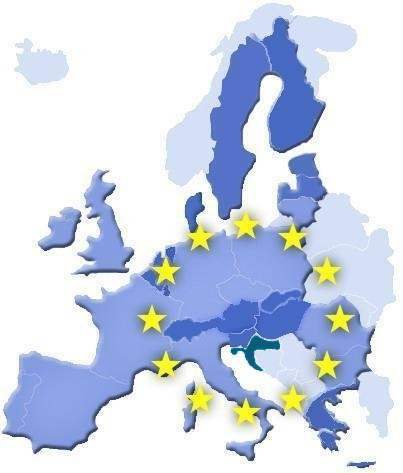 The border-free Schengen Area also guarantees free movement to many non-EU residents who are legally present on the European Union territory such as businessmen and tourists. Initially, the concept of border-free movement was in order to enable the European working residents to settle in any European Union State. However, the concept fell short of abolishing controls of the border within the Union. Cooperation between certain individual governments in 1985 led to a break-through. These individual governments signed the Agreement on the gradual abolition of checks at many common borders. The agreement was signed in Schengen which is a small village in Luxemburg. Further implementation of the agreement took place in 1990 when Convention which is implementing that agreement was also signed. Initially, the Implementation of the Schengen Agreements involved seven European Union States in 1995. A long time has passed since the introduction of the Schengen Agreements, and today the Schengen Area encompasses most European Union States, except for Ireland, Bulgaria, Romania, Croatia, Cyprus and the United Kingdom. It should be noted that Romania and Bulgaria are currently in the process of joining the other states which are part of the Schengen Area. Countries which are non-EU States but joined the Schengen Area are Liechtenstein, Iceland, Switzerland, and Norway. The Schengen Agreements state that any person is allowed to cross the borders withing the is without being subjected to regular border checks, but police check at the internal border may take place since these checks are not equivalent to border checks. This is valid in situations when checks are based on police experience and information and do not have an objective as border control. Under certain circumstance, the police are allowed to ask you to certain questions which are regarding your stay and ask you to provide your ID. In certain circumstances, for instance, when there is a serious threat to public policy, any Schengen country can temporarily reintroduce border control. The high potential of iGaming market has been discovered by Eastern European countries not so long time ago, and they are currently taking steps towards becoming part of the online gaming industry. The introduction of such gaming legislation is necessary due to the fact that there are many new casinos entering the online market. Even though there are certain jurisdictions which block operators from offering any online games on their markets like the Russian Federation, other countries like Bulgaria, Belarus, and Romania adopted gaming laws and legalized online gambling. There are also countries where online gambling is partially legalized, or in other words, regulatory framework regarding this industry is not created yet. For instance, Poland and Czech Republic residents have options to play online games at various unlicensed sites, but there is no any licensed site. 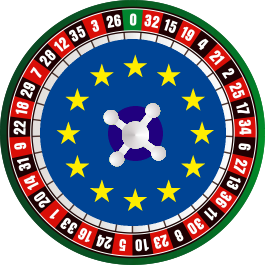 There is an indication that online gambling market is blooming and growing worldwide and Eastern European countries are not excluded. New legislative measures and various technological advances took place recently in the entire Europe, and countries such as Belarus, Bulgaria, Estonia, and Romani are following that trend. This emerging trend generally attracts huge interest and also provides consistent profit and financial investment from operator and suppliers. Eve though the nature of national territories is generally fragmented and different jurisdictions realize different online gambling operators. Still, there is a high potential in this area that is offering outstanding opportunities which are not ignored. In most Eastern European countries like Albania, Croatia, Latvia, Lithuania and Moldova online gambling is legalized, however, there are some restrictions placed as well. For instance in Latvia, only operators who are fully regulated can offer their services to Latvian residents. On the other hand, there are countries where there is no any regulated operator, and only country's authority can provide online gaming like Slovenia, but residents from these countries still can play online games. The iGaming industry is completely banned in Russia, and there is only provided a state-controlled lottery that allows gambling. However Russian residents used to play online gambling games on foreign websites, but there is pressure from authorities to block these websites.